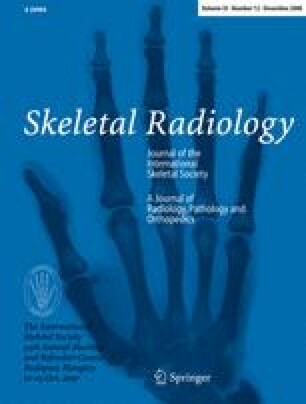 To evaluate lower-extremity rotational abnormalities in subjects with achondroplasia using computed tomography (CT) scans. CT scans were performed in 25 subjects with achondroplasia (13 skeletally immature, mean age 8.7 years; 12 skeletally mature, mean age 17.6 years). In a total of 50 bilateral limbs, CT images were used to measure the angles of acetabular anteversion, femoral anteversion, and tibial external torion. Measurement was performed by three examiners and then repeated by one examiner. Inter- and intraobserver agreements were analyzed, and results were compared with previously reported normal values. Mean values for skeletally immature and skeletally mature subjects were 13.6±7.5° and 21.5±6.4° respectively for acetabular anteversion, 27.1±20.8° and 30.5±20.1° for femoral torsion, and 21.6±10.6° and 22.5±10.8° for tibial torsion. Intra- and interobserver agreements were good to excellent. Acetabular anteversion and femoral anteversion in skeletally mature subjects were greater than normal values in previous studies. Both skeletally immature and mature subjects with achondroplasia had decreased tibial torsion compared to normal skeletally immature and mature subjects. Lower-extremity rotational abnormalities in subjects with achondroplasia include decreased tibial external torsion in both skeletally immature and mature subjects, as well as increased femoral and acetabular anteversion in skeletally mature subjects.